The Bosch GAS18 V-02N 18 V Cordless Handheld Vacuum Cleaner combines performance and runtime for a lightweight, convenient cleanup solution. This hand vac features two-stage rotational airflow technology for cleanup without losing suction power. The first stage typically captures 90% of debris, while the second removes finer particles, keeping the filter clog-free longer. The microfilter system filters fine dust, allowing the handheld vacuum to work in tough conditions. The powerful motor provides up to 21.2 CFM of airflow, with up to seven minutes of runtime per battery Amp hour (Ah) – up to 42 minutes with a 6.0 Ah battery. With five attachments for versatility, this tool includes extension tubes to clean floors and a crevice tool for corners. 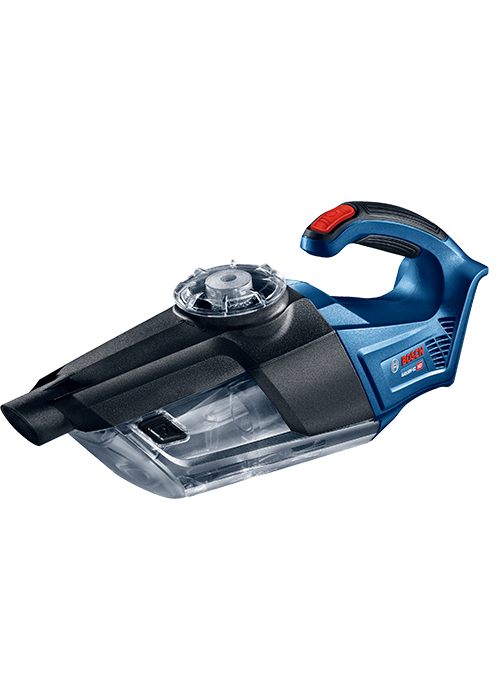 Recently engineered to join the 18 V lineup of power tools in this market, the cordless vac is 100% compatible with all Bosch 18 V batteries. This is a bare-tool kit; the battery and charger are sold separately.